MC Serrano in Mijas Costa - Fuengirola - Costa del Sol - Spain. Specializing in everything in Bathrooms & Ceramics. Distributors of all products for construction and plumbing. Shop and wholesalers. 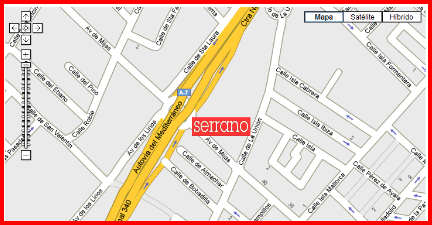 MC Serrano is a family run company spanning some 50 years with all the experience and expertise this brings. Client care and attention to service, technical support and detail is always important to them either in their beautiful extensive Showroom or their fully stocked Trade Counter. Offering a complete service in the supply of materials and articles of construction and just about everything in bathrooms, beautiful ceramics, exquisite stones and marbles complement the most modern of styles as well the traditional. 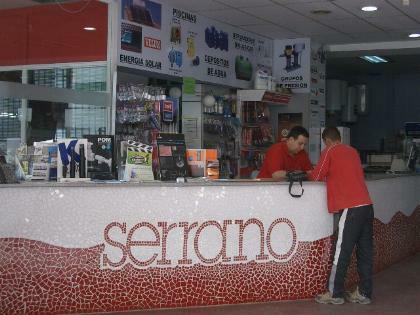 Delivery is available throughout Spain on all products purchased. Elegant and timeless designs, traditional shapes mixed with clean lines adding versatility. Sunken, Risen, Free Standing and Corner in Porcelain, Cast Iron or Acrylic infact, every material in every style. Attractive new alternatives on offer for you to find the right combination. Delicious bathrooms, including the latest combined sinks by Regia Italia, with colours and looks to set tongues wagging. Elegant and timeless, great design with practicality, mixing traditional or the modernity of classics. You will be spoilt for choice from their extensive range and creative ideas. Forget boring Bathrooms. Pure lines to give your Bathroom style, catering for all your requirements and needs in Clear Crystal, Translucent, Crystal Shadow and Crystal Pixel. 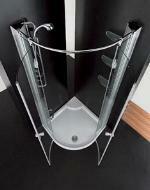 Versatile, bath screens or shower doors. Doors and screens measured and fitted with the assurance of continued technical support and a two-year guarantee, all-inclusive. Why not check out the conventional as well as the not so conventional, you will be very impressed and not just with the look. Luxurious and decadent, simple and elegant. Showers, which enable you to experience the rain sensation, stimulating showers to invigorate and enliven, genuine in their simplicity. Taps and mixer taps for every imaginable style or taste, for those who love the classics or those who wish to enjoy the innovative experience of Thermostatic Taps, making manual adjustment a thing of the past, just choose your ideal temperature and enjoy a relaxing bath or shower. Dependable fixings all with a two years product guarantee. Meeting new challenges with new solutions. A vast selection of beautiful individual and handcrafted ceramics some from regions of Spain untouched by normal suppliers, some from further afield. These products sourced by researchers to bring you, the client, the most up to date and impressive collection for your home. Styles include traditional and modern, retro and much more. Classic Marbles, Stones and Mosaic. Why not check out the Rock & Rock selection of tiles by Roca , with new product technology this impressive collection successfully combines quality and warmth with tradition and innovation. Now you can choose the surroundings that most inspire you. Impressive names, with impressive prices. Discover the endless design and decoration possibilities with the new style wall- paper ceramics, hard wearing, beautiful. A fabulous selection of Bathroom Accessories in brilliant finishes by the most well known reliable designers with an incredible range for those of us who wish to have objects of timeless elegance. Spa Pools, Hydro Massage & Hydro-sauna Cabinets. Luxurious and timeless. When Health and Well-being is paramount in all of or lives, Serrano are very glad to be able to offer you their extensive range of Hydro Massage and Spa's. Whether to just enjoy your time relaxing with family and friends or to benefit from relaxation and aromatherapy in the amazing Hydro-sauna Cabinets, which feature a special tank for dissolving essential oils. Rich dense aromas, which possess natural curative properties, allow you and your home to benefit and enjoy this innovative experience. Some of these beautiful cabinets include the Cromotherapy experience, creating a world where colour is used to improve Health & Well-being. Why not ask for more information or come into the show room and talk with one of the friendly and helpful staff. Servicing both account and non-account holding Customers this busy Trade Desk will supply you with all you plumbing and construction materials and advice. Also everything you will need for all your pool repair and maintenance. A mature and fully trained professional team of staff are there to assist you with all your requirements and be able to help trouble shoot any problems you may be experiencing. Open with just an hour and a half break during the day to enable trades people to purchase their supplies as and when they need them, this desk will also give helpful tips in English and terminology for those of you who wish to build their knowledge and language. Brilliant service and all with a smile. Delivery, which is free, is available upon request. 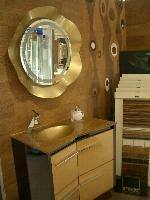 Duscholux, Eco Mamparas, Vismara, Kabin Glass, Lasser, Todalux, Stildux. Roca, Romynox, Navamuel, Royo, Cryma, Diecris, Martin, Rustibaño, Ordoñez, Mapini, Regia, Ruban, Bestabaño, Carintia, Fiora, Salgar, Sanchis, Mibaño, Decosan, Artehogar , Picazo Picazo. Roca, Grohe, Hansgrohe, Marti, Fantini, Permesso, Ramon Soler, Teka, Carlo Frantini, Dorn Bracht, Clever, Cristina, Presto, Tres, Grisaza, Orpan, Permesso. Roca, Apavisa, Aparici, Gaya, Plaza, Alcoceram (Hand Made) Ceramica Alcora, Platera, Peronda, Natucer, Ferrogres, Inalco, Todanato, Colorker, Cerypsa, Marazzi, Complemento, Seviarte, Oset, Aquatro ( Hand Made) C.Elias, ( Hand Made ) Cas, HDC, Keope, Granate, Rex, Novogres, Safont, Cortes - Marble, Guru-Marble, Sanyar-Marble, Pedrantiqua -Marble, Hisbalit, Onix, Vitrogres, Vidrepur, Vives, Keros, Cerfogres, Gresfort, Tecniceramica, Gaya, Gres Aragon. Roca, Krisal, Sayen, Diecris, Windish, Oxil, Beltran, Surla, Franju, Mediterranea, I. Palacio, Romynox, I. Aja, Cosmic, Sanylux. 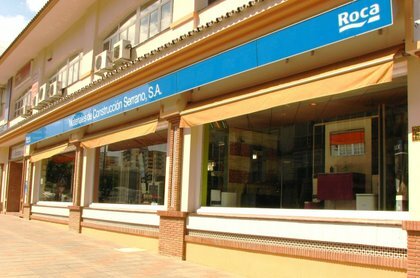 Roca, Bañacril, Jacuzzi, Hidrobox, Rovimat, Sanycess, Ideal Standard, Hidronatur.